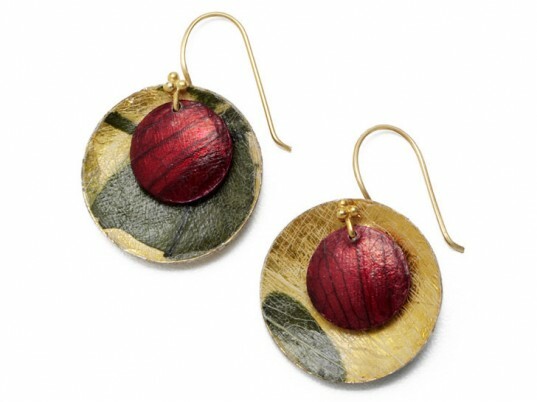 Get your daily serving of fruit and vegetables with Margaret Dorfman's range of edible jewelry. Made from fresh produce, which the California artist cures, presses, ages, and dries into translucent parchment, the cuffs, necklaces, and earrings have a warm enamel-like glow evocative of tinted vellum. To preserve their bright jewel hues, Dorfman fuses the sheets to tarnish-proof copper before glazing them with a nontoxic lacquer finish. 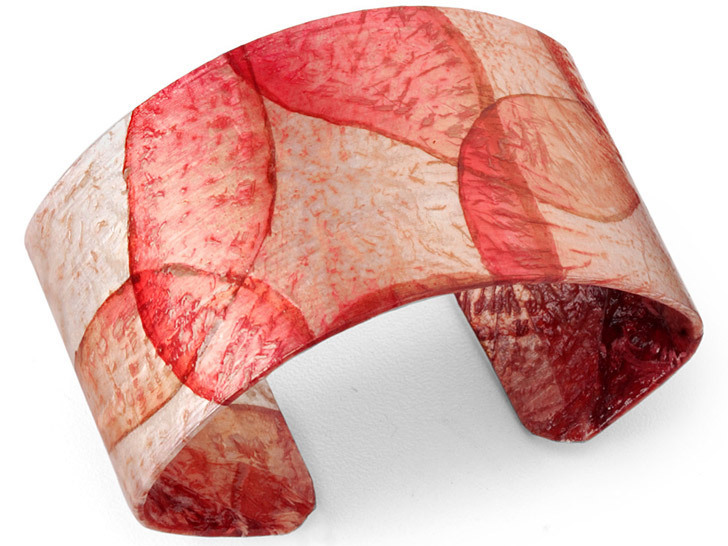 Above, a cuff made from slices of watermelon and radish ($40). By transforming ordinary edibles into objects of beauty, Dorfman sees her role as part artist, part alchemist. Clockwise from left, bracelets made from beet, zucchini, and starfruit ($40 each). Necklace derived from mixed fruits ($99). Necklace made with beets ($99). Earrings derived from beets and papaya ($44). Earrings made with zucchini and red onions ($44).